A joint endeavour between Ford and a Sao Paulo-based creative agency, GTB, has taken a large leap forward in brainwave monitoring technology. They have developed headwear of the classic ‘trucker hat’ fashion fitted with an array of sensors, an accelerometer and a gyroscope to monitor attentiveness and head movements. The ‘SafeCap’ comes in honour of Ford celebrating 60 years of truck production in Brazil and looks to save lives by preventing drivers of Heavy Goods Vehicles (HGVs) from falling asleep or into a state of inattentiveness. It comes at a time when falling asleep at the wheel is real concern for truck drivers. When you or I fall asleep at our desks, we merely receive a chiding from our employer. This is not the case for truck drivers. A sleepy truck driver runs the risk of causing injury, or worse, to both himself or other road users. Thus, the SafeCap is born. So, how exactly does the headgear wake up its users? If the technology within the hat recognises the driver is dozing or falling asleep, a combination of sound, light and vibration is used to jolt the driver awake. Hopefully, after this wake-up call, the driver will recognise that they are too tired to be behind the wheel and pull over to a halt. There are five stages of sleep, making up the electroencephalogram, each giving off a different variant of brainwave. Each brainwave represents a different speed of oscillating electrical voltages within the brain, almost like a signature. 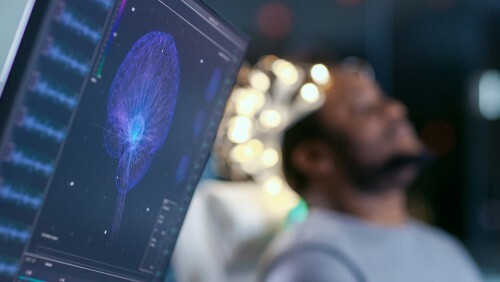 Stage One emits Theta brainwaves – running at four to seven cycles per second – the presence of such brainwaves informs the SafeCap that the wearer is drifting into the first stage of sleep. There is also a kinetic aspect to the SafeCap. The developers of the technology conducted a great deal of research into head movements associated with tiredness and compared such movements with the movements of driving e.g. checking one’s mirrors. By fitting an urban software of all the movements, the SafeCap can distinguish between the two forms of head movement and identify when the wearer is drifting off. Having recognised that the wearer is falling asleep, the hat will begin to vibrate, flash and make noises to bring the truck driver back around. Ford are obviously exceptionally proud of this piece of technology. President of Ford South America, Lyle Watters, described it as ‘another example of our commitment to utilizing technology both in our vehicles and also in broader driving culture to make life easier and safer for our customers.’ Such comments suggest that this is not the only technological step that Ford will be taking in the transport sector. This piece of technology is generating a substantial amount of positive feedback. However, it will not be available widely until additional, more thorough testing has been carried out. Fatalities and injuries caused when HGV drivers fall asleep at the wheel are tragic and avoidable. The Regulatory Team at Backhouse Jones are often dealing with cases in which dozing drivers have caused damage, injury or death whilst on the road. There is no hiding from the fact that, in law, falling asleep at the wheel of an HGV – or bus – is considered a serious criminal offence. Further to this, the evidence in such cases often excludes any other sensible explanation except that the driver has either fallen asleep at the wheel or has become that inattentive that he, or she, has failed to see the approaching hazard. Where a driver is found to have lost consciousness due to falling asleep, that driver will find themselves facing a charge of careless driving as a starting point. That being said, the circumstances of each case may differ, and this charge could well escalate to causing death by dangerous driving, an offence that carries with it a jail sentence of fourteen years. If your business does not have the luxury of a magic cap that wakes your drivers up, and you find yourself in a situation where one of your drivers has caused such damage, contact us on 01254 828300. We provide a high quality of service and will deal with the matter with the utmost professionalism.